Today’s world is abuzz with information. Ideas, opinions, criticism, platitudes and just about anything else is transmitted instantly across social media, and it’s easier than ever for trends to become ingrained into our collective — and personal — mentality. This, in addition to long-standing societal expectations and historical, hierarchical constructions, can form influential trends both positive and negative. In this article, we’re looking at the power of positive masculinity; what it means to be a modern male in an ever-adapting world. By recognising past trends, opening up and empowering each other, we can build a healthier world for everyone. The younger generation of males today are innately different from generations before them. Thus, their role models and the pressures they face are also different. The need for relatable male role models is more important now than ever, and so is the need for role models willing to speak up about difficult subjects and break down taboos that have remained in place, unchanged, for far too long. But what do we mean when we say ‘positive masculinity’? We can look at some of the issues at hand to find that definition. Historically, the innate expectation of ‘a man’ is to not show weakness; crying, feeling sensitive or overly emotional, sharing their feelings or demonstrating what have previously been considered as ‘feminine traits’. The world is now, thankfully, moving beyond this dated generalisation, but the transition period is not easy. This can be seen by the recent growth in male suicide rates for men aged 18-35. Anxiety, depression and disconnection can also come from the challenge of wanting to change but feeling tied to ingrained expectations, and this demonstrates the need for positive male role models. Social media can be a powerful tool; as it is the primary way a lot of younger people engage with others, content and global issues, its influence can be significant. When we see someone in the public eye who takes the time to discuss topics which are relatable to us, we instantly pay more attention and feel a stronger link to them and the issues at hand. This goes for everyone, whatever their groups, identity, age or ideology. For men, a role model who normalises empathy and opens up about personal difficulties can be an empowering route to a brighter future. Happily, there are more and more examples of this coming into focus. 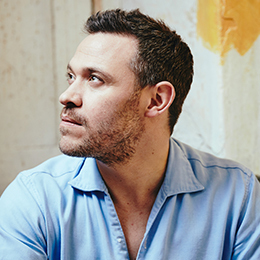 Will Young, for instance, has spent time discussing mental health and the importance of providing support for anyone in need — listening to them, not telling them to bottle things up or ‘man up’. 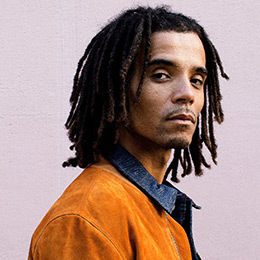 Akala, too, is another shining example. His creative work highlighting issues which many may see as ‘uncomfortable truths’ is an essential part of the journey towards a greater understanding between people from all backgrounds. The ability for these positive role models to engage and inspire people who relate to the topics being discussed, but moreover, people viewing things from a different perspective, is powerful. This is something that should not only be encouraged, but celebrated. By seeking out and reinforcing positive habits and thought patterns, we can reflect that in our behaviour. Through this, we can help to dispel ‘toxic masculinity’ — characterised by whataboutism, aggression and a regressive approach to other groups and opinions — which should bolster future generations — boys and girls. Further, it can help them to be better prepared to recognise and deal with a range of debilitating personal issues they would have otherwise been told to ignore. We are at a pivotal time as a society. Leading by example will help to push us forwards. In the past, this example would include male media stars and male contemporaries demonstrating a quiet, stoic strength with no weakness on show and being in a position of power and control. Now, the example needs to change to fit with the growing mindset of the younger male — those who are absorbing everything around them in vast quantities, and require some extra guidance to help them process it all healthily. By offering a helping hand, and encouraging people to listen to those working hard to spread positive masculinity, confused young men can be more clear about what is expected when we talk about being ‘a man’. Instead of that meaning you have to fit into a strict set of alpha male characteristics — lest you lose your status as ‘real man’ — it should mean finding that personal balance to express yourself in a comfortable, fulfilling way. Indeed, this can be said of anyone, in any situation, which is where the true power of positive masculinity lies; it is, at its heart, another branch of human acceptance, one that is in-line with a modern society seeking a way forward. At Kruger Cowne, we’re proud to work with a wide range of artists, speakers and personalities who are working hard to propel positive masculinity through their work and through public and private appearances. If you’re looking for an inspiring speaker to share their experiences to enlighten and advise an audience, get in touch with us today. Speaking out and making these issues more of a focus can have a superlative affect on our society, so if you’d like advice on choosing the right speaker for your needs, our knowledgeable team is here to help.